Partly cloudy early followed by cloudy skies overnight. Low 61F. Winds WSW at 10 to 15 mph.. Partly cloudy early followed by cloudy skies overnight. Low 61F. Winds WSW at 10 to 15 mph. On 04/05/2019, Deputy K. McGinnis arrested Sean V. Baker (26) of Spotsylvania, for shoplifting (x2), obstruction of justice (resisting), child endangerment, and appearing intoxicated in public in the 11100 block of Gordon Rd. On 04/07/2019, Deputy R. Gaddis arrested Adonis Gibson (30) of Spotsylvania, for felony shoplifting in the 6500 block of Jefferson Davis Hwy. On 04/10/2019, Sergeant F. Payne arrested Antonio M. Monroe (28) of Caroline, for shoplifting in the 9600 block of Jefferson Davis Highway. On 04/10/2019, Deputy S. Northrop arrested Rachel L. Jenkins (21) of Prince William, for shoplifting in the 9700 block of Jefferson Davis Highway. On 04/05/19, Deputy Lecarpentier arrested Reuben Peppers II (36) of Spotsylvania, for Assault in the 6500 block of Venison Dr.
On 04/06/19, Deputy Watson arrested Jeremy Walker (44) of Culpeper, for Assault in the 3500 block of Plank Rd. On 04/07/2019, Deputy J. Wine arrested Devin N. Blanchard (24) of Spotsylvania, for assault and strangulation in the 4600 block of Partlow Rd. On 04/07/2019, Deputy Schroeder arrested Harry Jenkins Jr (41) of Spotsylvania, for felony Child Abuse/Neglect and Assault in the 11600 block of Rutherford Dr.
On 04/08/2019, Deputy Jurgens arrested Kevin Funes-Hernandez (19) of Asheville NC, for Assault and Battery on a Family Member, Abduction and Providing False ID to LE. On 04/09/2019, Deputy S. Norris arrested Ms. Ashley Nicole Davis (34) of Spotsylvania on a citizen obtained warrant for assault. On 04/06/2019, Deputy Munsee arrested Jeffery Wilson (58) of Milford (VA), for DUI in the 10600 block of Courthouse Rd. On 04/04/2019, Deputy S. Norris arrested Ms. Lindsay Whitestone (37) of Spotsylvania on a permitted warrant for possession of marijuana. On 04/08/2019, Sr. Deputy J. Basil issued a summons to Edith Sage (30) of Stafford and Brittany Edwards (25) of Stafford for possession of drug paraphernalia. On 04/08/2019 Deputy A. Miller arrested and charged Carlos Ramos (29) of Fredericksburg for Drunk in Public in the 11800 block of Gardenia Dr.
On 04/09/2019, Deputy D. Burr arrested Trey Christopher (32) of Fredericksburg for Drunk in Public in the 10900 block of HCC Dr.
On 04/05/2019, Sr. Deputy C. Washington arrested Elizabeth Jenkins (41) of Spotsylvania on an outstanding Spotsylvania warrant for obstruction of justice. On 04/06/2019, Deputy S. Norris arrested Ms. Christina Jean Swanner (39) of Spotsylvania on a Capias for failing to report to jail. 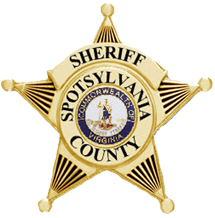 On 4/8/2019 Deputy Hansinger issued a summons to Elizabeth Hill (64) of Fredericksburg (Spotsylvania County) for hit and run. On 04/10/2019, Sr. Deputy J. Basil arrested Mr. Bradley Grear (31) of Spotsylvania on an outstanding capias through Spotsylvania GDC for failure to comply with a court order. On 04/09/2019, Sr. Deputy C. Washington arrested Ms. Krista D. Trent (32) of Stafford on an outstanding warrant through another jurisdiction. On 04/09/2019, Sr. Deputy J. Basil arrested Mr. William Haley (52) of Spotsylvania on an outstanding capias through another jurisdiction. On 04/09/2019, Sr. Deputy J. Basil served Chadwick Hine (36) of Stafford on two outstanding citizen obtained summons for phone harassment. On 04/12/2019, Deputy Jurgens arrested Tyrell Alexander (20) of Richmond, for multiple outstanding warrants from another jurisdiction. On 04/12/2019, Deputy Jurgens arrested Elmira Boisseau (19) of Richmond, for an outstanding warrant from another jurisdiction. Remember your phone call or Text-A-Tip can make a difference.